At Chicken Chase, we had some issues with my Specialized Trailmaster saddle causing back soreness and side swelling on Tanna. Showing me I definitely need more analysis before our next endurance ride. Tanna was given two weeks off after his rides at Chicken Chase and today Daniel and I set aside some time to work on the saddle. 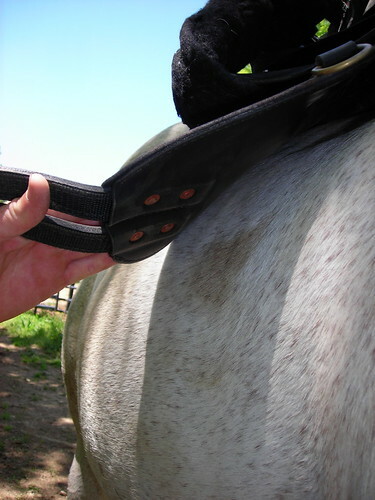 The first thing we did was pull off the shims we'd put at the back of the saddle on both sides. Tanna was sore there after the Sunday 50 at Chicken Chase. 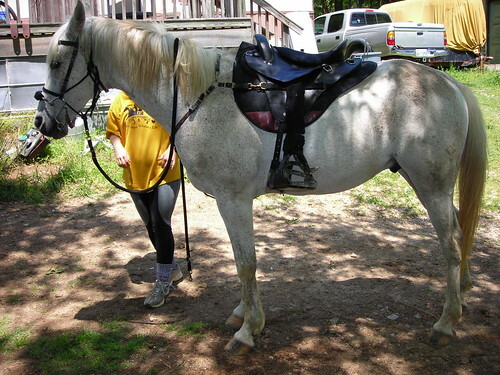 Then we put the saddle on without a pad, girthed it up and I hopped on. 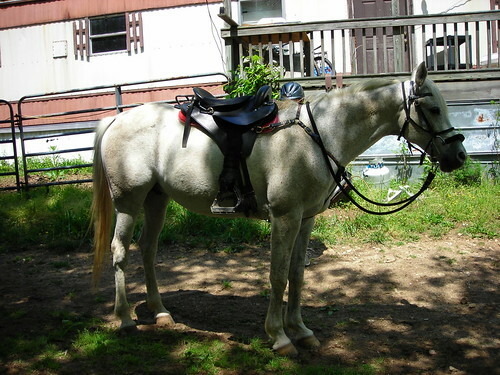 Daniel looked at the saddle with me in it and I looked at what I could. We agreed it looked pretty good without any shims. Next we saddled him up with the Port Lewis Impression pad. I went for a 15 minute ride. Up hill, down hill, walking, trotting and cantering. When I got back, the impression looked pretty good, except for the shoulders where it appears his natural motion pushed the putty away from his shoulder blade. However, we could see where the billets attach to the flap were already causing a rub on him, even after just 15 minutes. Course, there was no pad there, either. Since everything looked ok, we saddled him for a training ride. 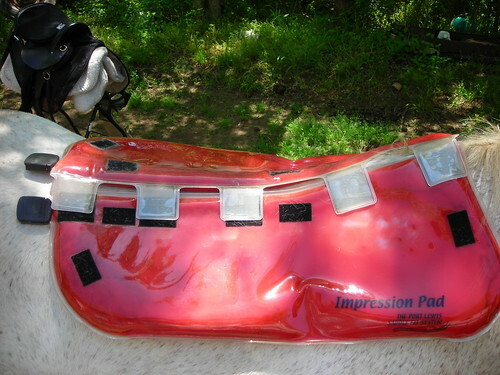 I used my Equipedic pad, like I had used for the Trace Tribute trail sessions. I realized that that was one of the differences between the trial rides and the endurance rides. So I decided to go back to the Equipedic. No inserts. Then I went for a 12 mile training ride. Sweat pattern looked good and no sign of swelling or heat in his sides. This is just the first test in a line of tests. I plan to ramp up the mileage over the next several weeks leading up to our next endurance ride. I ordered a Toklat woolback endurance pad and if that comes this week, I'll likely switch over to using that. I like woolbacks and if the woolback will work, that's my preferred pad since it breathes, washes well and they last forever. I'll keep reporting back as I do further tests.